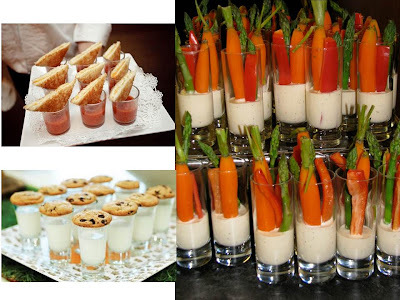 How cute is this wedding idea via The Knot via Callahan Catering? 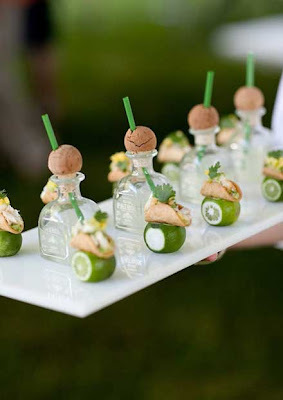 Mini Pat shots with mini tacos as a wedding appetizer! YUM! To duplicate this, reader Sacks suggest drilling a hole in the cork for the fancy straw. To get the straw down to size, just cut it in half.